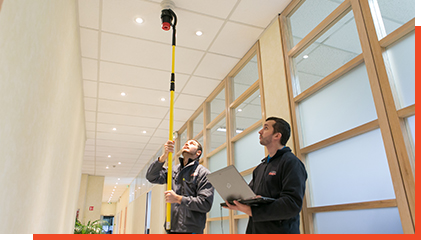 Preventive maintenance consists in the verification and the complete maintenance of fire safety installations, in order to maintain their proper operation, in compliance with the regulations and standards in force. Regular preventive maintenance thus reduces the probability of equipment failure and minimises corrective maintenance. During these preventive maintenance operations, our teams of technicians have a perfect knowledge of the sites thanks to Logtek: software developed by DEF and which contains the technical record of the installations, the site map, as well as all the reports of inspections, in digital format, for optimal effectiveness of every intervention. Through Logtek, the DEF technician also has access to the cartography of all the elements present on the site, which allows him to constantly check that all equipment is properly tested. On the customer side, all these reports of preventive inspections and corrective actions are available on the Sentinel portal.